"I do a lot of hours. Even in some days when I'm not supposed to come, I turn up and I do a little bit of work. It keeps me ahead. You can say I'm old fashioned: I'm ahead and I'm trying to stay ahead. I don't rest on my laurels." What attracted you to this industry in the first place? I've always been kind of a sportsman. I played football when I was a kid for Fulham, I swam for my borough, Lambeth. I wasn't very good at school, but I was always good at sports, and all through my life I've played sports, so that was an easy decision to make. I like to train people, to help them develop themselves. What do you think are the advantages of working in this industry? To be honest, when I started as a volunteer, I was unqualified. 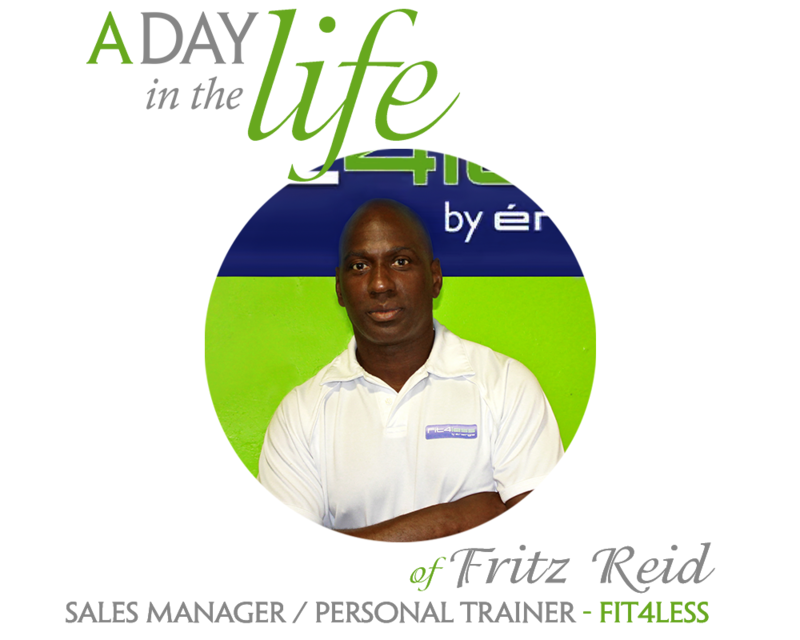 I then became a gym instructor, got my personal training papers and became a manager. I've done lifeguarding. So you can see the development. Life can put you in all kind of places, but it's all about where you want to go, where you need to go. The moment you get into the industry, you can just develop yourself. There are so many ways you can go. I would recommend it to a lot of people who are into empowering themselves and people around them. I worked hard. I was doing what I believed in, and doing what works for me. When I was volunteering I just cleaned. I didn't have money to pay for my course, so they paid it for me. But they did make me clean a lot. And I did it. I was unhappy every day, until I started doing the course. When I started to do course work, everything started to change and I became a casual worker. I was passionate about it and they said "Yes, this guy is alright. He likes it." I was so passionate that they sent me to do sales. I came in to be a gym instructor, and they sent me to do sales. But I was good at selling. So I became a salesman for Brixton Recreation Centre. Now I'm a sales manager, personal trainer and a gym manager. So the sales have gotten me through, but I think that is because I'm passionate about what I'm doing, it makes it easy for me to sell. I know why I have to do this, and why I have to go on in this industry. I know why I do door drops; I know why I talk to the members. Some people do the job and they just know the fitness side of it, they wouldn't understand this side of it. But this side is where you make it. You see the grey hairs? But it keeps the club moving, it keeps everyone happy. If you don't have sales, it's not going to work. You're wondering why everybody is leaving, why we are not replacing them, so it's a big industry. It's a massive industry. How many hours do you tipically work per week in your business? They say it's 40 per week, for me I'd say it's 55 hours. And plus I run a boot camp. So I do a lot of hours. Even in some days when I'm not supposed to come, I turn up and I do a little bit of work. It keeps me ahead. You can say I'm old fashioned: I'm ahead and I'm trying to stay ahead. I don't rest on my laurels. It's quite diverse actually. I start at about 11 o'clock, but I'm here until 10:00pm. Or probably 9:00pm if I have to run the boot camp the next day. The boot camp starts at 8 o'clock in the morning. It's an outside thing, we do it 2-3 times a week. Then at 10 o'clock I start my job, check my emails, set up my daily planner. The daily planner depends on what we feel it's needed. If it's the beginning of the month your issues always get new leads. The more leads you have at the beginning of the month, the more members you gather at the end of the month. If you don't have enough leads to put in the pot, you won't get enough members out of it. So you have to be passionate about it. Sometimes you get tempted by a commission and that can drive you just a little bit further. I'm very "hands on". There's nothing I would ask someone to do that I wouldn't do myself. Sometimes I don't ask at all. Anything you do, anything you can do, I don't pass it down the line. If I'm doing door drops, I'm doing door drops, if I'm doing a campaign at the train station, or at Sainsbury's, I'm dealing with it. It doesn't bother me the way it bothers other people, to do these kind of small tasks. And sometimes I use it as an escape. There are no windows here. I like it and it inspires others too. That's what keeps me going. Tell me about the last fitness program you developed. I develop them quite regularly. I've done one for a lady this morning. I used to train her before. There's no need for her as far as she's concerned to keep it up. She said she needs a program, so I gave her a free program for 3 days. It's everything I've done with her so far. We'll see what happens now, if she's going to do it by herself or if I'll have to go over there once in a while to give her a boost. Because sometimes, as a trainer, it's not just the information you pass on, it's how you pass it on. How you build a relationship with somebody. And that is the beauty of the job: when you see someone that you've shown around and gave advice to, and they look totally different 3 months later or if they tell you that they feel good about themselves. It's nice when my boss tells me that we hit the target again, but it doesn't compare with the moment someone comes in and says "Thank you!" Last year we won the award for the "Best Budget Club". And now I'm being nominated as one in 20 people for the "People's award". It's an award that includes all the gyms and clubs in the country. They made an award for all these people, and I'm one of them. This means that the members of the club talked so much that I got nominated. I was touched. That's what makes you love the job and I wouldn't change it for anything. I think the answer would be: how to deal with people. How to manage myself, how to listen. Yes, I think that's the most important one: how to listen. Describe the last training session or seminar you conducted for a staff. We only have 1 to 1 sessions with staff. I do get a lot of apprentices. Sometimes it's like playing chess, because some apprentices don't adjust, money is not much. So you have to motivate them, let them know that what they're doing is important. "I DO need you, the club needs you, You're needed". It's fantastic, I wouldn't change this for nothing. Honestly. The majority of the apprentices that come are left with a good understanding of what happens in a budget gym. Make sure it's the right thing you want to do. Study, do some research, and don't hide. Because a lot of people come in and they like to hide. They don't want to clean the machines or clean the toilets. If they can get away with something, they're going to try. But I would say brace it, embrace it. Because the moment you embrace it everything seems to come to you and you understand more, the day goes by quicker. The moment you hide, the day becomes long and negative. So embrace the day and you'll get your rewards. That is the truth.